Connecticut's Professional Videographer for Video Depositions and Other Video Services! VIP Studios video production services division serves the corporate community and legal firms. 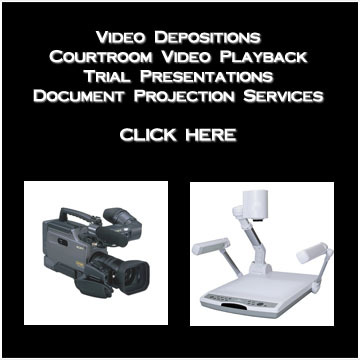 Legal Video Services in areas of Legal Video Depositions, Trial Presentation, Courtroom Video Playback, A Day In A Life and Video Production Services.